Music is taught weekly, by a specialist teacher, to every year group throughout the school at Lyndhurst. In the Early Years, the focus is on participation in singing and movement as well as developing musical expression and listening skills using percussion instruments. 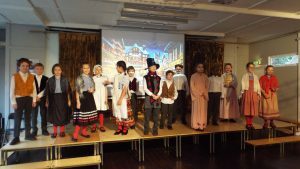 As the children move up the school their musical awareness is broadened with an introduction to a wider variety of musical instruments and genres, including music from different historical eras and cultures. Within class music lessons, tuned percussion is introduced in the Lower School. All children in Year 3 learn the recorder in group sessions, reading from notation which enables them to progress to aspects of music theory in the Upper School with class keyboard work. Further to this, individual instrumental and vocal tuition is provided by our peripatetic teachers, with many children taking music examinations. Children studying an instrument are encouraged to join the school orchestra which performs regularly at school concerts and are also given opportunities for solo performance throughout the year. There is also a hand bell group who play at the annual Carol Service. Singing is a regular and enjoyable part of school life for all ages at Lyndhurst. The whole school participates in weekly singing during hymn practice and assemblies. Further to this, the school choir is made up of keen singers from Years 4-6 who take on more challenging repertoire in preparation for our school concerts, including the open-air summer concert and external performances at local venues, including local residential care homes, the Camberley Christmas light switch on, the annual School Carol Service at St Michael’s Church and Young Voices at the O2 Arena. Singing also plays a part in drama productions throughout the school. 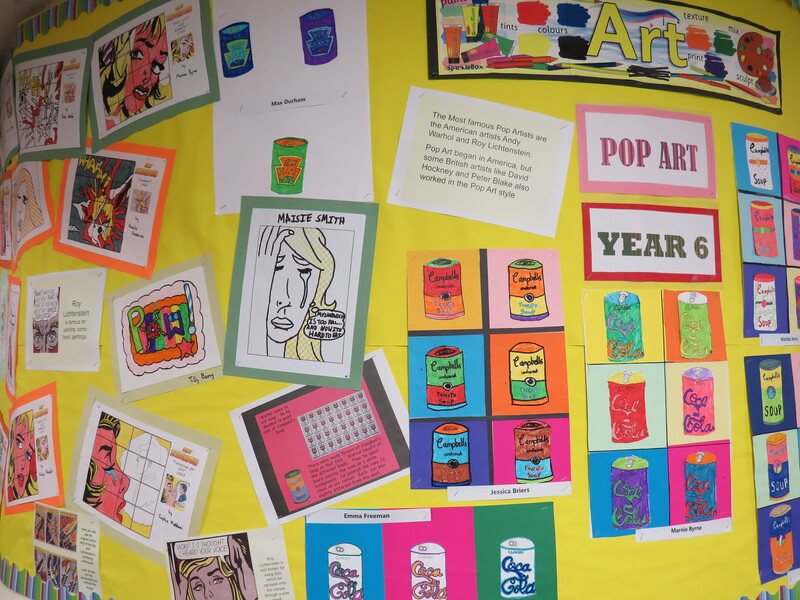 Lyndhurst school has a very active and vibrant Art Department. At Lyndhurst we believe art is about developing creativity and the ability to understand and communicate ideas and feelings through a visual form, evolving an informed understanding and appreciation of a range of artistic styles. Students throughout the school develop an enjoyment in creative art through study of art and art history, they develop an ability to express opinions on and evaluate, their own work and that of others through critical thinking, questioning, objectivity, observation and open-mindedness. Students develop practical art skills throughout their time at the school, such as; understanding and use of colour, form, line, pattern, shape, space, texture and tone. They have practical experience of a variety of tools, materials and techniques, leading to the production of creative work where children explore their ideas and develop self-confidence and fulfilment in the freedom of artistic impression. By the time students leave the school they have developed the foundation skills needed for future art studies. 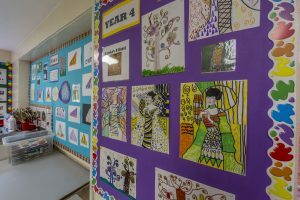 The school has a dedicated art room with excellent facilities. 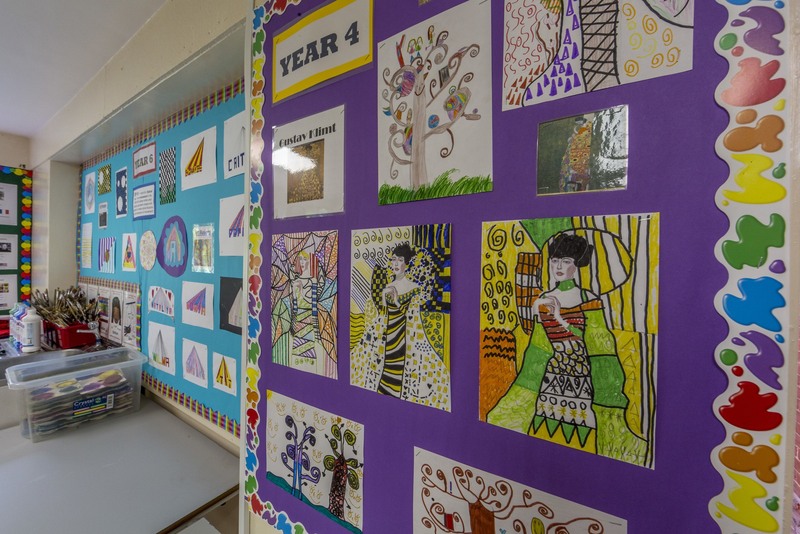 In the Lower School students are taught by their form teacher to use a range of materials creatively to draw, paint and sculpt, they develop and share their ideas, experiences and imagination. From year’s three to six the children are taught by a specialist art teacher once a week. They develop their techniques, including their control and use of materials, with creativity, experimentation and an increasing awareness of different kinds of art, craft and design. Students create sketch books to record their observations and use them to review and revisit ideas and learn about great artists and designers in history. There are after school clubs where students are able to continue developing their work in the art room after school. 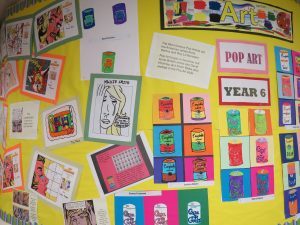 The children’s art work is regularly entered into exhibitions and competitions, bringing their work into a real life context and giving the students some experience of the use of art beyond the classroom. Drama is about developing self-confidence and performance skills together with an understanding of drama as an art form. 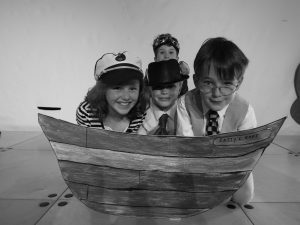 Drama lessons at Lyndhurst school foster the children’s ability to collaborate, devise and develop a narrative portrayed through dramatic performance. 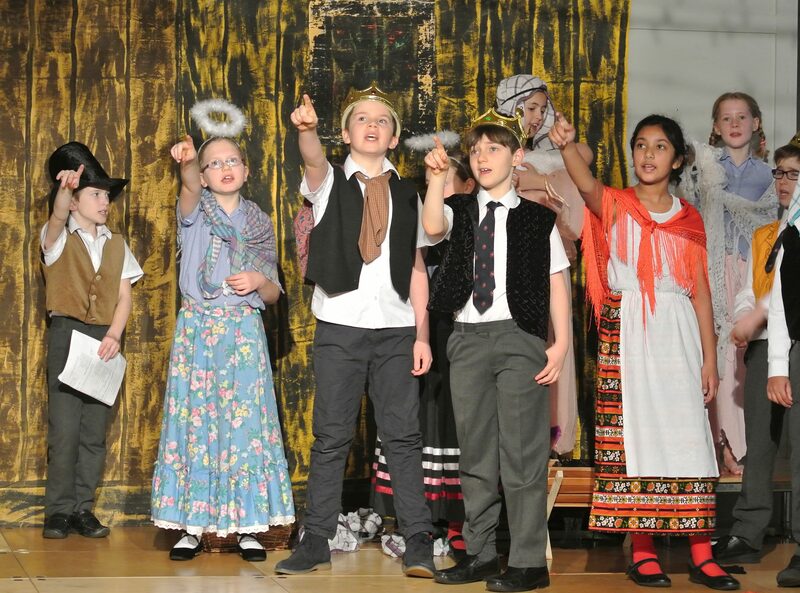 The drama department provides children with the knowledge of drama and dramatic practitioners. 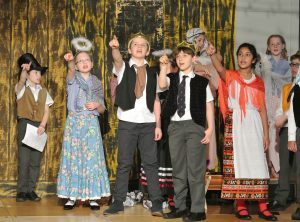 Students develop practical drama skills and techniques, including: characterisation, voice projection, facial expression, gestures/body language and performance discipline. Studying drama develops the children’s confidence and communication skills and cultivates collaboration and teamwork. Drama is taught by a specialist teacher once a week from Year One to Year Six. The children participate in modules, lasting between three to ten weeks each, on topics such as; acting technique, character development, melodrama, commedia del arte, monologues, musical theatre, ensemble acting, mime, physical theatre, improvisation, classical theatre and Shakespeare. All students develop the foundation skills needed for future drama studies. Every child will also perform in a school production every year. Some recent productions include; Treasure Island, Wind in the Willows, Alice in Wonderland and A Christmas Carol. The early years children also produce an enchanting Christmas production every year. Drama is a popular subject which is enjoyed by all the Lyndhurst children.